Classification of interpersonal space needs for team activity. 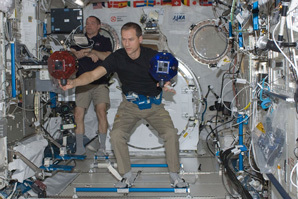 What do Astronauts Do Together? Teamwork is a recognized variable for the success of space exploration. 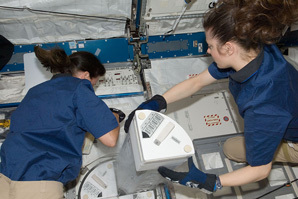 The importance of team activity grows with the strain on crew from factors such as mission length and delayed communication with friends and family. While our understanding of the organizational structures and the personality types that contribute to an effective team is well-addressed, the spatial needs for team activity are less understood due to their association with more subjective cultural or personal preferences. As a result, no design guidelines or standards exist for equipment to support team activity. 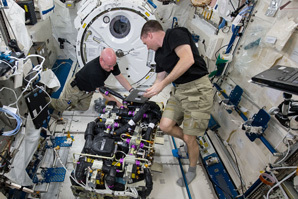 This is important now because work space will be at a higher premium than ever before as we leave low earth orbit and because team activity may help maintain social cohesion on long space flights. 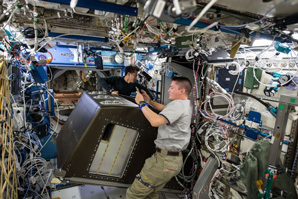 The first step towards this understanding is determining what team activities take place on the International Space Station. 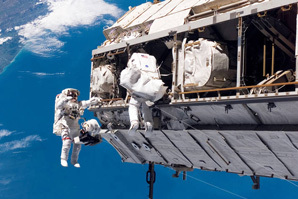 In 2014, NASA’s Human Factors Research Review Panel determined that team activities are not currently addressed in any of their research programs, and that no one even has a good idea of what team activities are taking place. 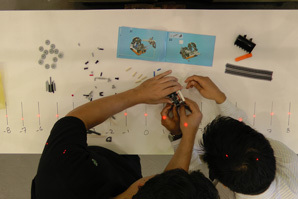 Close-up view of two participants performing a generic team activity, in this case building a LEGO set. Notice the overlapping reach. This intersection of reach envelopes is exactly what NASA and I are trying to better understand. 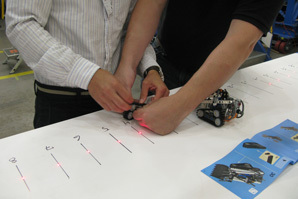 Overhead view of the same two participants performing a generic team activity. Again, we see intersecting reach. The red dots are projected light from the testing stand that I designed to better measure this overlap. 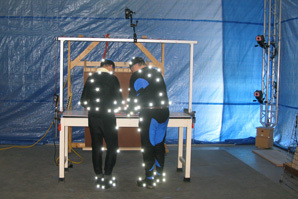 Rear view of two participants in motion-capture suits. This is the first time the human factors team at Marshall Space Flight Center has captured more than one person at a time. 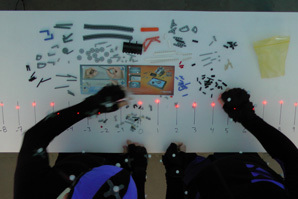 Overhead view of motion-capture participants. The red light dots are clearly visible on the wrists helping us to see exactly where the participants are reaching. 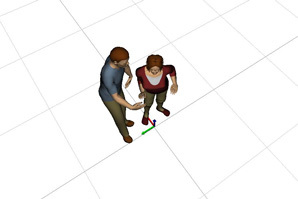 Here we see a 3D model of the overlapping reach envelopes of two participants, modeled using Siemens’ JACK human factors simulation software. As activities are identified based on the team activity classes that I’ve developed, distributions can be created for each activity type.